Have you ever heard about a game having a combination of a puzzle as well as a real money game with a Las Vegas theme? Don’t know about it? Of Course you don’t? Because it’s a new kind of game which has been developed this year to double your excitement! Yes, Cash Royale is a new Skillz block game in the town that will definitely change the way you see mobile games ever! The Cash Royale is packed into an awesome game with lots of interesting puzzles as well as cash prizes. Cash Royale has been developed by EtherSports, LLC, which is a leading mobile eSports platform. Cash Royale is compatible with the iPhone, iPad and iPod touch having iOS 9.0 or any later version of the Operating System. With this awesome platform, the players have the opportunity to make money by playing this block puzzle game. Cash Royale is a super-addictive, easy to understand puzzle, skillz game having an exciting Vegas theme. You can play either for fun or for real money here! The choice is yours! You can have fun as well as earn money. The game includes tournaments and head-to-head competitions with real cash prizes. Meaning that the game can be played head to head with other players or in large, multiplayer tournaments. In the head to head games, both the players get the same words in the same order and the player who finishes with the most points win. Basically, there are so many objects placed in a cube and you have to place higher value cubes to complete the row for bonus points. You need to score points by clearing lines. You need to drag the blocks and arrange the shapes onto the board and fill the rows to clear them out without running out of the room. The game is quick and easy to play. You can beat your opponent in just 3 minutes. Cash Royale is an amazing game which will hook you up for so many hours. You can even challenge the people around the world and face off against players of similar skill on the Skillz network, a competition platform complete with Leaderboards, trophies, cash or virtual currency prizes. It’s an amazing loyalty program that rewards you for playing. One thing I must tell you is that the cash tournaments are available in about 75% of the world. They are not enabled in the following states: AZ, AR, CT, DE, FL, IL, LA, MD, MT, SC, SD, and TN. So if you don’t live in a cash enabled region, then don’t get worried, you can still play for fun with our virtual currency. Download the app now and join the unlimited fun with Cash Royale! Pros: block puzzle game with the Vegas theme; easy to understand and play; head-to-head competitions; challenge other players; win cash prizes; play for fun or real money; full of entertainment; free to download. ESQUARED- SAY ‘NO’ TO GYM MEMBERSHIPS! Last month, I joined a gym and taken its membership for one year. Everything was going alright, but suddenly my leg got injured after some days. Now, the doctor advised me not to join gym for 2-3 months. But, the question is what about my gym membership, it is totally a waste now. So, what I want to say is that gym membership bounds you and you can’t quit if you want to. However, yesterday I was looking for a solution to this problem and I found an amazing app that doesn’t require any gym membership. Yes, it’s none other than “Esquared- Gyms & Studios”. Developed by Esquared Technologies Limited, the app requires no membership at all. All you need is to pay for every session that you attend. The Esquared is the only platform where you can book premium 2-hour gym pass sessions and one-off fitness classes on demand. You don’t need any gym membership unlike other gyms. You’ve to simply pay for each class or workout session. The process of choosing a session is very simple. You can search by location, facilities or type of class. Further, you can book a workout class or any other session for a 2-hour sessions within a few clicks, receive a check-in code and show it on arrival. To enjoy your sessions, you can invite your friends and family and get training together. Finally, when you’re finished with a particular session, you can rate them and tell your experience to others so that other people can look for it. With Esquared, you can get access to hundreds of high-quality premium gyms near you. You don’t need any contract gym and no more long-term commitments by using this app. The app has been compatible with iPhone, iPod or iPod touch having 10.3 or any later version of the Operating System. Overall, the app is convenient to use as you can choose the timings and any location that suits you. There is no membership required and the gyms are totally affordable for an average person. The app is easy to use with a user-friendly interface. The app works flawlessly and there are no ads to interrupt you in between. So join now and sweat your stuff with Esquared! Stay fit and healthy! Go for it now! 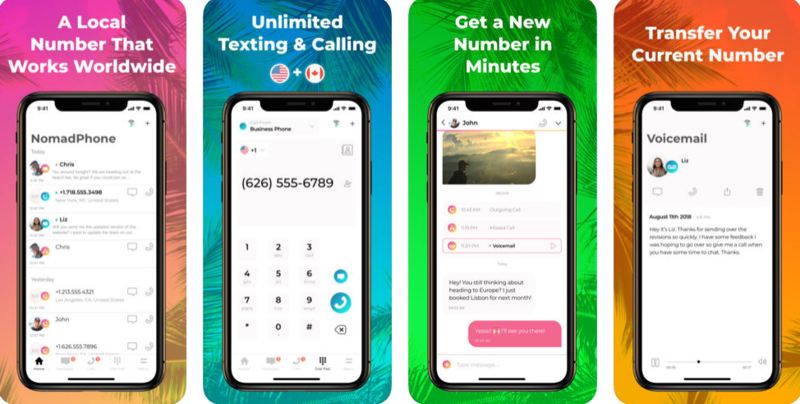 The app is available in the United States and will be available for the people living the UK very soon. 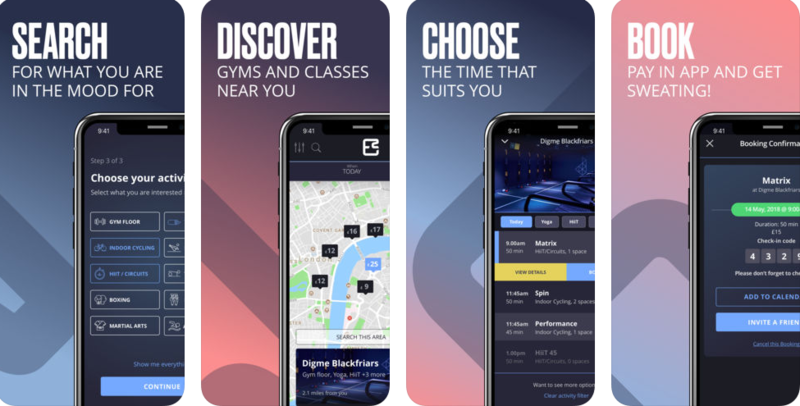 Pros: find local gyms around you; flexible timings; user-friendly app; no membership required; various types of sessions and classes; convenient to use; pay for each session; free.